The Word of Faith Movement is powerful and influential, with numerous affiliated churches worldwide. Compelling, charismatic leaders preach their peculiar doctrines to enthusiastic and accepting global audiences who view Word Faith as just another denomination within Christianity, but are they really? Best known for their “prosperity gospel”, they promise riches in this life. W ask and answer the question, “Is Word Faith prosperity really Biblical prosperity?” The answer might surprise you. We let the Bible speak. However the Word Faith Movement is in far deeper water doctrinally. Certain lines cannot be crossed without becoming outright heresy. These lines include the Person of Jesus Christ. We must not misrepresent our Lord and Savior, or we could be found guilty of presenting “another Jesus” and “another gospel” as the Apostle Paul warned the church. Has the Word Faith Movement crossed the line? We believe so and you can decide for yourself as this DVD takes a Biblical look at some of their more aberrant teachings. Be prepared to be shocked! Lorri MacGregor brings over thirty years of Discernment Ministry experience to this expose, having authored two books, ten DVDs, numerious articles and booklets examining various groups. Lorri was a Jehovah’s Witness for 15 years and together with her husband Keith MacGregor and ministry partners Richard and Cheryl Schatz, serves with MM Outreach a US based non profit organization dedicated to the preaching of the gospel message to lost and hurting people. While on the cross for three hours, after all the sins were laid upon him Jesus cried out that God forsook him (looked away, breaking fellowship). After nearly 6 hours on the cross Jesus said that He entrusted His spirit into the Fathers hands before He died. He was totally restored before He died. His Spirit was not committed into anyone’s hands, but the Father’s. So there is no possibility of him going to hell for any reason of completing the sacrifice or punishment. He did finish on the cross everything that was needed for salvation. If Jesus went to Hell this means the Father did not accept His sacrifice, but instead rejected it. While Jesus was on the cross He promised the thief on the cross next to him that he would be with Him in paradise that very day (Luke 23:43). If the thief was not in paradise with Him but would have entered into suffering with Jesus and Jesus lied. Paradise was still in the earth called Abrahams bosom until Christ raised and went to heaven (then he took those saints with him to heaven Eph.4:8). I would first like to say that this movement is made up of many to mostly Christian. This is why the Word-Faith Movement is described as aberrant or heterodox. B. What constitutes Damnable Heresy? SHOCKING Actual Audio of Joyce Meyers teaching some very strange doctrines. who is the ‘Jesus’ of Joyce Meyers? Did Jesus really cease to be God when He was on the cross as Joyce teaches? hear these strange doctrines from her own mouth from her tape called ‘From the Cross to the Throne’ strangely enough Kenneth Copeland came out with a tape by the SAME NAME many years earlier, teaching the exact same doctrinal errors,( yet Joyce claims she got this information by divine revelation from God ) ALSO hear also how Joyce Meyers agrees with the Jehovah’s Witness false bible version..and so much more.. it saddens us to see how many people are being decieved by such teachings as she is teaching. By the way..strangely this tape of hers is ‘no longer avaliable’ from her ministry, this may be the only place you will hear these actual audios. I am from the South Indian state of Tamil Nadu. The name of my home town is Ramnad. Only for less than 2 years I was under the influence of WoF . When it was first introduced in India many Christians including me were attracted to it. I thought WoF was an “advanced level” of revelation beyond what the traditional pentecostal/charismatic churches had. I concluded that WoF is the “full” gospel and other Christian denominations were lacking something. Then God started opening my eyes. God taught me that He is a Sovereign God and He always works in my life in mysterious ways and always does things more than what I can imagine or think.In the eighties a Doctor called Justin from India got attracted to the WoF teachings. First he started to air his program from a Radio station which broadcasts Christian programs in some Indian languages from the Seychelles island. Initially he preached against evolution, apologetics and Bible and Archeology. He was stealth in his approach in introducing the WoF message in India. Therefore many Christians including myself trusted him. He later took my home state by storm (converting the Christians there to WoF) using his seductive powers and charismatic personality. He said that he would never get sick and he would leave his body at his own will. By postive confessions about divine healing and health he thought he could live in this earth as long as he can. He even ridiculed those who were still sick. He was unapproachable in spite of proclaiming a postive message. Even one of his fellow minister used to tell people who wanted to meet him after the meetings that they need to go and see him with boldness. He used ot say “You have to believe in your heart and not in your brain. He was spearheading the WoF movement in my home state. Many innocent Christians were deceived by his false teachings. Dr. Justin’s influence was growing rapidly. He moved to state capital and was able to gather 2000 people in less than a year. Shortly after that he got a brain disease and suddenly passed away. He died with 800,000 Indian Rupees in debt and his Church split into 8. This incident puzzled many WoF followers in India. They started wondering why a man who boasted about living in divine health, death at his will and financial prosperity himself died of a disease and with a huge amount of debt (in Indian currency). But in spite of God expressing His disapproval by removing that man from the earth, his followers and relatives never repented. They are still advancing his legacy which was heresy! A number of individuals were spiritually destroyed by this ferocious wolf. He also asked Christians not to pray for a need more than once because “a prayer of faith must be prayed only once” and if you pray for the 2nd time it would invalidate the first prayer. God is not sovereign in Word Faith Theology. “It seems that God is limited by our prayer life, that He can do nothing for humanity unless someone asks Him to do it. Why this is, I do not know.” (“The Two Kinds of Faith,” p. 42). b. Therefore, Adam had dominion upon this earth and in this world. He was originally, in a sense, god of this world. But Satan came and lied to Adam. Adam committed high treason and sold out to Satan. Then Satan became the god of this world. (Hagin, “The Art of Intercession,” 1980, p.3; reissued as “The Art of Prayer” both 1992 and 2000 editions contain the same teaching. Satan needed God’s permission to attack Job. Despite the crowing of Word Faith supporters, Satan admitted that Job had a hedge of protection around him (Job 1:9). It is obvious that God removed that hedge of protection in order for Satan to attack. Remember also, God told Satan everything of Job’s is yours. Do not touch him. So the first attack was against everything that Job had except his wife. Why, because Satan did not have permission to do anything else. The second time, Satan had permission to attack Job’s flesh. But he could not kill him. Each time, God was asked by Satan for permission. Job is far more than Dr. Marinelli can understand using his Word Faith perspective. He was a man who had control of his thoughts, Job 31:1. His sacrifices for his children are considered acts of fear. Yet, Abraham and Noah made the same types of sacrifices. See Genesis 8:20; 15:9-10. Also note that each time Job was attacked, he did not sin (Job 1:22 and 2:10) Even when God had chastised Job for his self-righteousness, God did not require a sacrifice for Job, only his friends (Job 42:7). I would like to also point out, each time Dr. Marinelli quoted Job when one of his friends were speaking, they were considered to be errant by God. As the return of the Lord Jesus Christ is nearing and the age is also closing in on the schemes of satan – he is working fast around the human clock to spread his deceptions and heresies. While it is evidently quite difficult for Satan to lure believers into heinous sinful activities – he’s found other means of getting to them right from their pulpits. He is using the means of heresies and even heretic preachers to divert Christians from their primary mission – God. The Word of Faith Movement has been at the very front of promoting doctrines or teachings that are nowhere taught in Scripture. These men and women distort many passages of the Bible to propagate their own ideas rather than the clearly revealed Word of God. Click on the picture to download your free 60-page PDF Ebook! My review is in regards to the work authored by Chad Marinelli, “God in a Box?” Dr. Marinelli offers an apologetic for the Word Faith Movement’s view on God’s sovereignty and how man fits in to that sovereignty. You will note that I did not cover the entire work of Chad Marinelli. It would have taken an equal volume of effort to respond to all of his errors. “The Cloudy Waters” is the title of chapter one. I will demonstrate that it is Dr. Marinelli who is muddying the waters and not those who consider themselves orthodox believers. Acts 4:20 – We cannot stop telling about everything we have seen and heard. One young man near my native place went to a WoF Bible College in my state capital (known as Apostolic Faith Tabernacle). He came back and started a Church in my native place. He also lived in the same street and from our house we could see his entire house. He started aggressively promoting the WoF teachings. If someone says to him that they were sick he would immediately yell back – oh no! don’t say that! You will get what you say. He targeted one Doctor in the town who is a distant relative of mine. He gave that Doctor’s family “a package deal” which he presented as the “full” Gospel. They all confessed Jesus as their Lord according to Romans 10:9 and got “saved” (without any repentance). Then the WoF Pastor introduced them the Prosperity message as part of the “full” Gospel and promised 100 fold return. Then that Doctor gave him a piece of land to him. The Doctor in spite of getting “saved” according to Romans 10:9 went from smoking to drugs. His marriage broke. This is what the WoF pastors do in India. They target either nominal Christians or members of other Christian denominations who are Doctors, Engineers, Lawyers, Government officials, college professors and wealthy business people. In other words they find out potential donors who can support their “ministry” and offer them the package deal. They don’t go rural side or to poor people because they don’t have enough money and resources. Their prosperity magic does not work with poor people. After deceiving rich people they cling to them for everything. Rich people are usually appointed as elders in the Church and given important responsibilities. They don’t even bother if their rich supporters are genuinely repented and had a life changing experience! As long as they donate money these WoF preachers are happy with them. Doesn’t it remind about wolves. Wolves use the sheep as a food source (or resource). If a death or some important even happens in a poor believer’s home these WoF pastors won’t visit them but delegate their junior pastors or associates to visit them. If a death or any other important event happens in a rich person’s house the WoF preachers give them top priority. Even during normal days they visit the rich people often, let their wives to befriend their wives and let their children play with their children. The poor people are given only a few minutes of the Pastor’s time!!! This is how the WoF movement “plants” churches in India. Someone might say oh, these kind of incidents are isolated and not widespread and it is too much of a generalization to give these examples etc etc. But the truth it is wide spread and it had become norm in India’s WoF circles. These are not isolated incidents. That is the reason most of the Indian WoF Churches exist only in big cities where they can find rich people to support their ministries which are in many situations family enterprises or personal kingdoms. 1 Peter 1:18-19 — Is our redemption based on Christ suffering in hell, as some word of faith teachers argue, and not on His shedding of blood on the cross. Misinterpretation: Word-Faith teaches say that Christ shed blood on the cross did not atone for our sins. Kenneth Copeland, for example, says “Jesus went into hell to free mankind from the penalty of Adams high treason….When his blood poured out, it did not atone…. Jesus spent three horrible days and nights in the bowels of this earth getting back for you and me our rights with God.” (personal letter from Kenneth Copeland; cited in McConnell, 1988, 120). Cherie is the author of the Word of faith NO MORE blog. I gave my life to the Lord in August of 1999. My best friend attended Word of Faith Christian Center in Michigan and led me in the prayer of repentance and into the WoF movement. I was living in California at the time and her Bishop had established churches all over the world. She led me to one of his churches on the west coast and that’s pretty much how it began. I also started to watch TBN and other networks in order to be “fed.” I wasn’t raised in the church and had no biblical foundation so everything that I learned in WoF I thought was the truth. I must admit that I sensed that something was wrong from the beginning. Never the less I continued to attend the faith church and basically thought everything that I experienced was normal. 2004- I attended the laypersons bible school that was established by the church. They took the curriculum from RHEMA and modeled the school after it. Our Bishop graduated from RHEMA and all of his children went there. He in turn established a Bible Training Center in Southfield Michigan which has educated thousands of pastors who are now pastoring his various churches. I considered attending RHEMA or BTC but I did not. I became a fully surrendered Christian to God in 1984. Before that time I had given my life to Christ but was not obedient due to various reasons. My home church was a Southern Baptist Church. None of my family was religious during my growing up years and neither were any of my friends. Once I surrendered to Christ with the help of an Assemblies of God attendee, I followed my parents to Faith Center, a Word of Faith Church. My parents had gone there for a little while. I was about 25 at the time. I had a message from God telling me that my wife would be Judy. The message came to me while I was away for training for eighteen weeks. It came in a dream. I knew when I got home that we would go out for a date. Around Christmas God told Judy that I was the one for her. We both had seen each other once before. But we had never spoken. We dated starting January 1st twenty-two years ago. Then, we got engaged seven weeks later. And finally married on October 18th. I seemingly fit in to Faith Center right away. I had a testimony of what God had done for me. He delivered me of some sin habits that I developed during my adolescent years. He helped me to understand who I am in Christ and completed the reconciliation that started in my life at about eighteen years of age. I got involved in many ministries including: Children’s, Choir, Evangelism Explosion, and Deliverance. 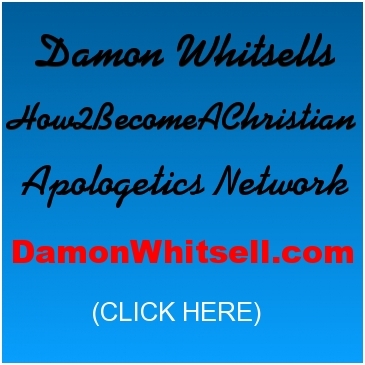 My eventual ministry, which I believe God wired me for, is apologetics. I started going to “Nationally known Kevin Johnson of Mount Carmel Outreach” apologetics class. Want to be a Cult Leader through Mind Control? Tired of trying to be a prophet, avatar or visionary but can’t get anyone to blindly follow you? Have you always wanted to know how to manipulate people in the name of any deity, religion or philosophy you want to hide behind so you can advance your OWN agenda of nakedly abusing power? Look no further! Examines the similarities of cult traits and NPD in the pulpit. The Seether songs remind me of my former “spiritual leaders” and probably mean more to me than making a statement to the viewers. Watch this before you give me too much head ache. A Debate with Jose Silva Leader of Silva Mind Control ( Dr. George DeSau Psychologist and Graduate of Silva Mind Control) DEBATE John Weldon and Dave Hunt on the John Ankerberg Show. Founder of Freedom Beacon Ministries in Upstate, NY, talks about cult abuse and recovery issues. VIDEO: Theological and Sociological Cults” What is the difference? What qualifies a group as a cult? Both the sociological and the theological perspectives are examined using nifty, easy to remember visuals. VIDEO: How does the Bible define a cult? Freedom Beacon Ministries founder speaks out on the theological definition of “cult”. Based on the two major signifiers found in 2 Corinthians 11:3, 4. In the comment section the owner of the channel grinz2000 was saying that Hank Hannegraph is “anti-supernatural”. THIS IS JUST NOT TRUE. And is both an ad hominum attack and a straw man LOGICAL FALLACY; only meant to try and discredit Hank’s exposure work against the WoF Movement. I SAY: Well she should get the book. Hank does not just speak about and call just the Word of faith Movement a “Counterfeit Revival”. NOW IS THE WORD OF FAITH THE GOSPEL??? Clearly the answer is NO, NO, NO!!! Wof’ERS are the best at the art of taking scripture out of context (CONTEXTOMY) to eisegete (INSERT INTO) her preconceived notions (OPINIONS) into the text. The context is clearly the Resurrection which is the gospel. So mush so that the Apostle Paul said if the resurrection of Jesus is not true,, then our faith will not save us from our sins. Rom 10:1-17 Brethren, my heart’s desire and prayer to God for Israel is, that they might be saved. For I bear them record that they have a zeal of God, but not according to knowledge. For they being ignorant of God’s righteousness, and going about to establish their own righteousness, have not submitted themselves unto the righteousness of God. For Christ is the end of the law for righteousness to every one that believeth. For Moses describeth the righteousness which is of the law, That the man which doeth those things shall live by them. But the righteousness which is of faith speaketh on this wise, Say not in thine heart, Who shall ascend into heaven? (that is, to bring Christ down from above:) Or, Who shall descend into the deep? (that is, to bring up Christ again from the dead.) But what saith it? The word is nigh thee, even in thy mouth, and in thy heart: that is, **THE WORD OF FAITH**, which we preach; That if thou shalt confess with thy mouth the Lord Jesus, and shalt believe in thine heart that God hath raised him from the dead, thou shalt be saved. or with the heart man believeth unto righteousness; and with the mouth confession is made unto salvation. For the Scripture saith, Whosoever believeth on him shall not be ashamed. For there is no difference between the Jew and the Greek: for the same Lord over all is rich unto all that call upon him. For whosoever shall call upon the name of the Lord shall be saved. How then shall they call on him in whom they have not believed? and how shall they believe in him of whom they have not heard? and how shall they hear without a preacher? And how shall they preach, except they be sent? as it is written, How beautiful are the feet of them that preach the gospel of peace, and bring glad tidings of good things! But they have not all obeyed the gospel. For Isaiah saith, Lord, who hath believed our report? So then faith cometh by hearing, and hearing by the word of God. SAVING FAITH IS TRUST THAT JESUS PAID THE PRICE FOR OUR SINS. Rom 6:23 For the wages of sin is death; but the gift of God is eternal life through Jesus Christ our Lord. IT IS CLEAR THAT THOSE WHO PREACH “ANOTHER GOSPEL” ARE DOOMED TO HELL. Gal 1:3 Grace be to you and peace from God the Father, and from our Lord Jesus Christ, Who gave himself for our sins, that he might deliver us from this present evil world, according to the will of God and our Father: To whom be glory forever and ever. Amen. I marvel that ye are so soon removed from him that called you into the grace of Christ unto another gospel: Which is not another; but there be some that trouble you, and would pervert the gospel of Christ. But though we, or an angel from heaven, preach any other gospel unto you than that which we have preached unto you, let him be accursed. As we said before, so say I now again, if any man preach any other gospel unto you than that ye have received, let him be accursed. 2Co 11:3-4 But I fear, lest by any means, as the serpent beguiled Eve through his subtlety, so your minds should be corrupted from the simplicity that is in Christ. For if he that cometh preacheth another Jesus, whom we have not preached, or if ye receive another spirit, which ye have not received, or another gospel, which ye have not accepted, ye might well bear with him. THE WORD OF FAITH IS WITCHCRAFT VEILED IN CHRISTIAN TERMS. STRAIGHT FROM THE WITCHES MOUTH Here is some text from a website on witchcraft. A WICHES FAITH IS in WITCHRAFT. Not faith or God. There is no force called faith. Faith (trust) is only as good as the object of that faith. An interesting study is to get a few bible dictionaries and do a word search on “God of forces” I have several books on demonology by Merrill F. Unger. He has a whole chapter devoted to the “God of forces” in one of them, so he might have a really good definition in his bible dictionary. I will look when I get more of my books out of storage. WHAT IS BAD IS THAT THE WORD OF FAITH TEACHERS KNOW THEY TEACH WITCHCRAFT!!! ALL WORD OF FAITHERS NEED TO REPENT AND FOLLOW THE TRUE GOSPEL!!! YA’LL DON’T HAVE “THE FULL GOSPEL”. YA’LL HAVE A FOOLS GOSPEL!! !